TELLURIDE, Colorado — It’s new. It’s improved. And it will still take up to nine of your favorite travelmates just about anywhere. 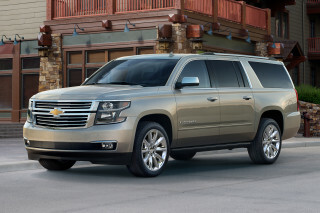 "It" is Chevrolet’s long-standing representative in the full-size SUV segment — the Suburban. 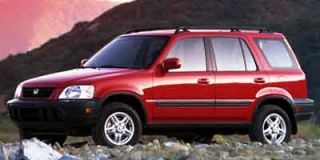 Unveiling its 2000 model of the stalwart Suburban, GM chose Telluride, Colorado, because of its "Like a Rock" image and views. And, judging from the two days of driving this newest version over the famed Million Dollar Highway, on rugged backcountry roads, and across the nearly 14,000-foot-high Imogene pass, it’s clear that the General’s PR flacks chose well. 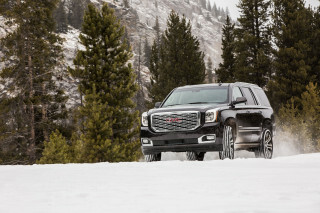 This bow-tie offering has it all — a carlike ride, trucklike capabilities with a rugged exterior, and a baronial interior that turns heads at the grocery store, on ski vacations and in the backcountry. But now it has a true competitor when it comes to sheer size and towing capability: the new Ford Excursion. How does it stack up against Ford’s new goliath? At first glance, the Suburban falls short in the "wow" category. 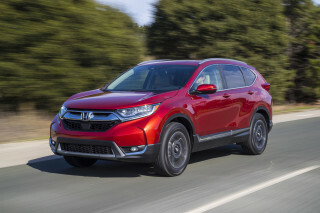 The new model has morphed from squared edges to more smooth but uninspired lines, accented by rounded edges around door handles, the bumper and fenders. 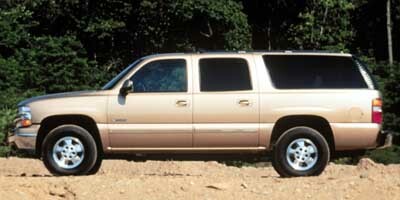 A slightly raised roofline keeps the Suburban from looking like a brick on wheels, however, and Chevy’s distinctive front grille caps off a sporty front end. Attractive, vented trim marks the rear-pillar sheet metal with distinctive styling, as well. 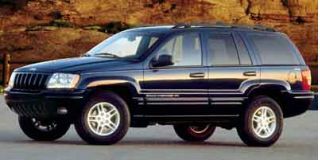 Although Chevy designers emphasized the importance of size for the Suburban, they have created a 2000 model that is slightly shorter than its predecessor and "more efficiently sized" than the competition. 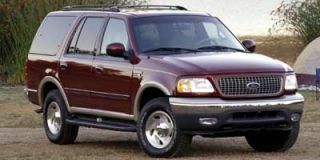 In this case, "efficiency" translates into a turning diameter 5 feet shorter than that of Ford’s new Excursion, as well as improved "garageability." The Excursion is longer and taller. On top of the frame rests a significantly improved drivetrain, as well. 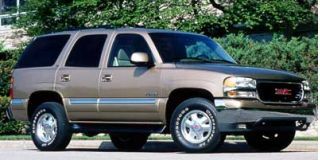 Equipped with a motor from the impressive Vortec V-8 line, the 2000 Suburban offers a somewhat surprising combination of power, strength and increased fuel efficiency. Two available Vortec engines — the 1500-Series 5.3-liter V-8 and the 2500-Series 6.0-liter V-8 — are descendants of GM’s original pushrod small block from 1955 but with important technological advancements. At the lower end, the 5300 engine churns out 285 hp at 5200 rpm, with 325 pound-feet of torque at 4000 rpm. Matched at the starting line with Ford’s massive V-8, the heavyweight 6.0-liter V-8 easily turns over 300 hp at 4800 rpm, effortlessly benching 355 lb-ft of torque at only 4000 rpm. 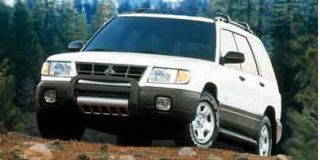 That translates to roughly 10,500 pounds of towing capacity, or about two-and-a-half Honda Civics hooked to the rear of the 2000 2500-Series Suburban. 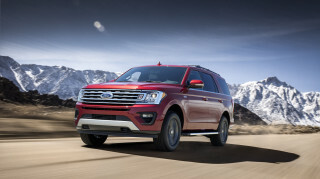 Both motors are matched with an electronically controlled automatic transmission; all Suburban models are rear-wheel drive and are available with four-wheel drive. A preliminary internal test at Chevy (the 2000 Suburban is not yet validated by the EPA) places these engines at the top of their segment for fuel efficiency. Although official mpg estimates are not available, Chevy reports that the new versions have increased fuel efficiency over previous models by as much as 4 percent and will likely be rated at 16/18 mpg, an improvement of about 1 mpg over the 1999 series. This has been achieved in part by a new single-plane arrangement of valves and pushrods. In addition, the Vortec cylinder heads have been designed to promote more efficient engine breathing. Airflow from one port to the next is identical, resulting in balanced cylinder-to-cylinder air and fuel distribution. Other structural improvements promise a smoother, quieter, more refined powertrain performance. Engine block improvements are augmented by an advanced cooling system with a three-level warning system designed to help drivers avoid motor seizure in extreme coolant loss situations. If the coolant temperature reaches 245 degrees Fahrenheit, the in-dash Driver Message Center displays a "Check Coolant Temp" warning. If the problem remains unchecked, the air conditioning system is automatically shut down. At 262 degrees F, an "Engine Overheated" message appears with a red light to prompt drivers to shut down the engine immediately. If ignored, the motor automatically shifts into "limp home mode" at 265 degrees, using cool air to reduce the temperature while the driver is, hopefully, heading to the nearest service station. Another enhancement is the segment-exclusive GM Oil Life system, which continuously analyzes factors contributing to oil life and health. 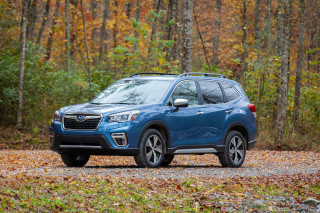 Drivers are notified to "change oil" via the Driver Message Center when the engine has determined its oil has only 10 percent of its useable life left. In addition, a transmission Tow/Haul mode reduces what Chevy calls shift "busyness," or excessive, harsh shifting when towing or under stop-and-go conditions. Optional Autoride suspension adjusts suspension reactivity to match transmission activity under the Tow/Haul conditions. Ride improvements are assisted by self-leveling shocks, available on the Premium Ride package for 1500-Series Suburban models, designed to smooth out bumps, improve handling and offer a "firm touring ride" for the long haul. Inside is a roomier, more space-efficient design than offered by the previous model. Increased head, hip and leg room accommodate even the largest drivers, with only slight increases for overall height and width, and no length increases as a result. Also new are two luxury seat options — front bucket seats with leather trim and six-way power adjustments for driver and front passenger along with heated seatbacks and cushions, power seatback recliners, power-adjustable back bolsters and lumbar adjustment, fold-down inboard armrests and two-position driver’s memory; and second-row bucket seats with inboard armrests and reclining seatbacks. Seating is designed to accommodate the "average" (in this case, read "big") American, with room to spare. Available back-seat controls and a rear-seat heating, ventilation and air conditioning (HVAC) system also offer greater passenger comfort.